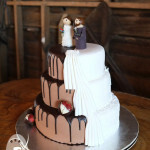 It was my great honour to create Chris and Xuru’s wedding cake for their Fraser Island wedding earlier this year. 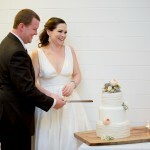 The beautiful couple celebrated the beginning of their marriage with family and friends at Kingfisher Bay Resort, following an intimate ceremony at The Lookout – one of the island’s unique ceremony locations. 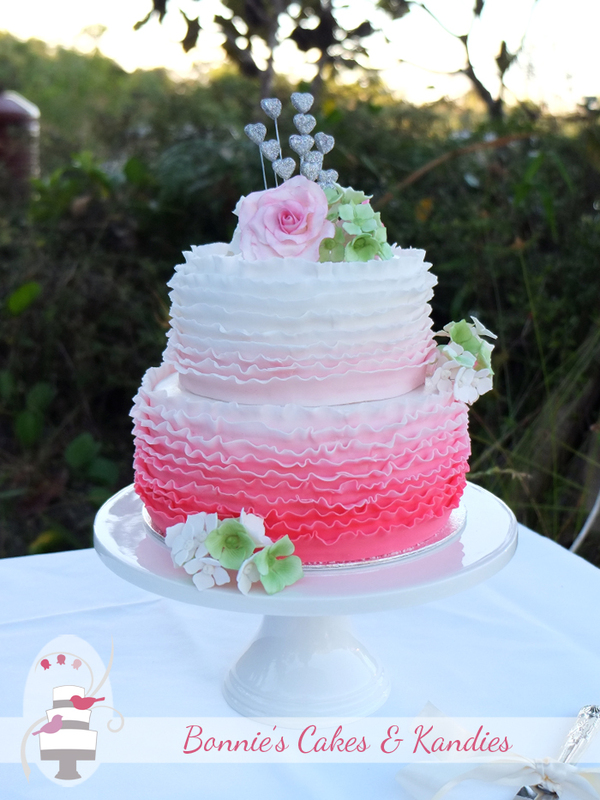 Chris and Xuru chose a two tier wedding cake with pink ombre ruffles graduating in colour from deep pink at the base of the bottom tier, up to white at the top of the top tier. The design was a recreation of a photograph supplied to me. 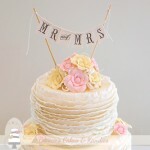 In addition to the ombre ruffles, a key element of the design was the placement of beautiful pink roses, and green and white hydrangeas. 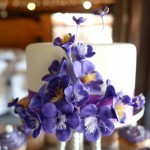 I loved creating these flowers in icing, along with small silver hearts which glittered so beautifully on the top of the cake. 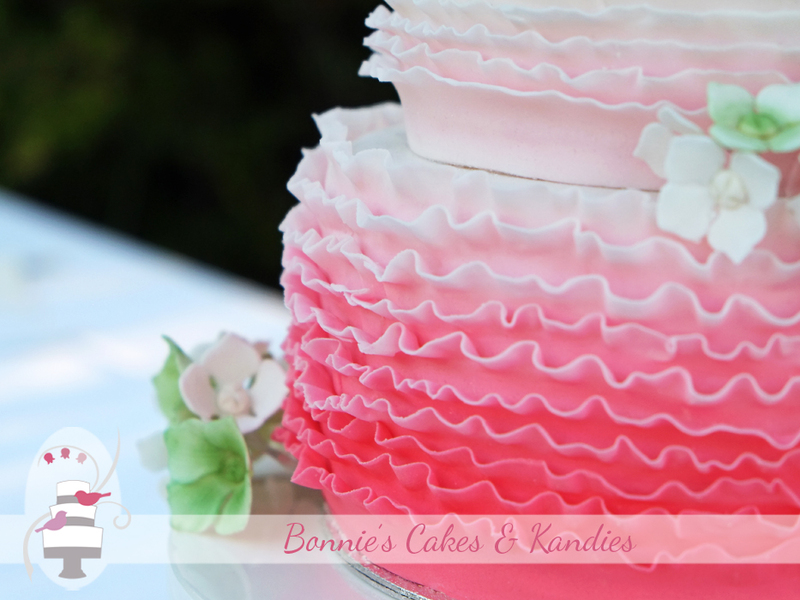 Each tier was made in the same flavour – a two layer combination of white chocolate mud, and choc-hazelnut cake. 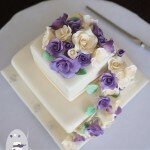 The two layers were filled with a white chocolate macadamia buttercream to add a third flavour into the mix. Hydrangeas are said to symbolise heartfelt emotions. 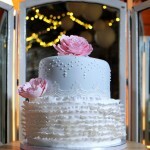 I offer my heartfelt thanks to Chris and Xuru for trusting me with the job of creating their very special wedding cake. It was such a pleasure and I wish them nothing but the very best in life and in each other.